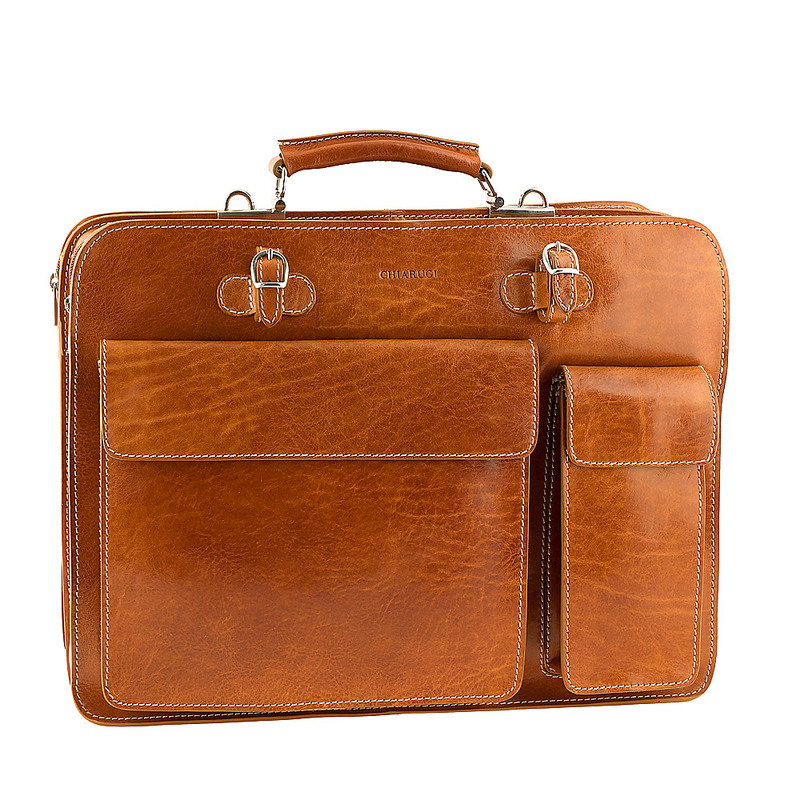 Milano is a practical bag that reflects the tastes of the modern and pragmatic man, who cannot compromise on the high qualitative standards of an artisanal craftsmanship of the vegetable tanned full grain leather. 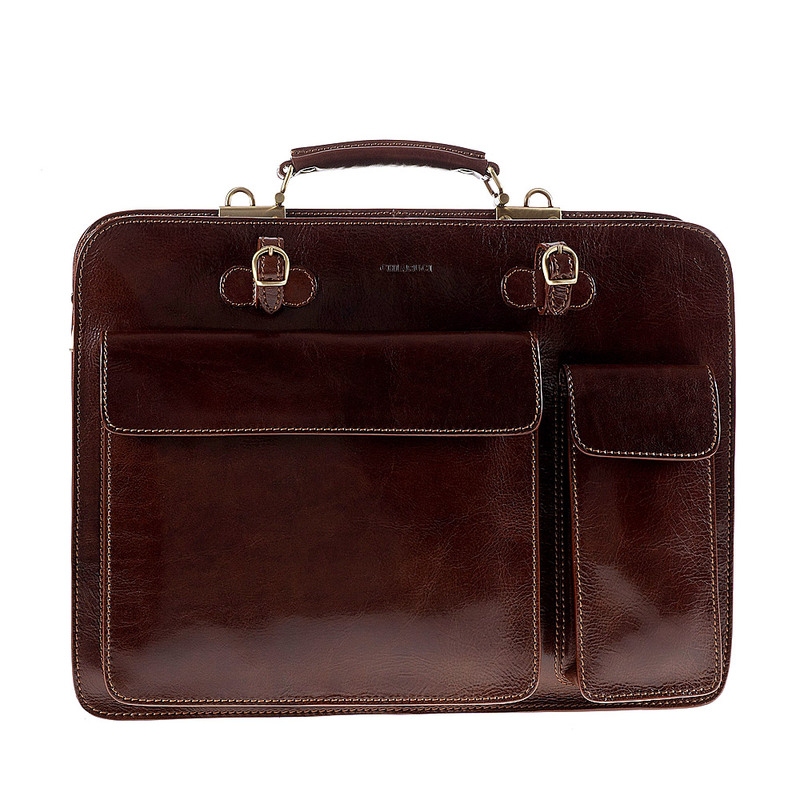 With enough space to hold your laptop, documents and tablet, Milano is a dark brown leather business briefcase, with two large compartments and both internal and external pockets coming in various sizes. Having this bag in your hand is like escorting yourself with the most faithful assistant. Being all rigorously Made in Italy, the result is a refined and original design and attention for details: rounded corners, perfect stitchings, buckles and zippers in golden metal.